A combined real-time power presence and temperature sensor all in one package. There's no need to unplug your device, simply strap the Digital Active Power Sensor to the power cord and receive alerts when the power goes down. A built-in temperature sensor also provides real-time temperature measurements in the -40° to +85°C with an accuracy of ±0.5°C. 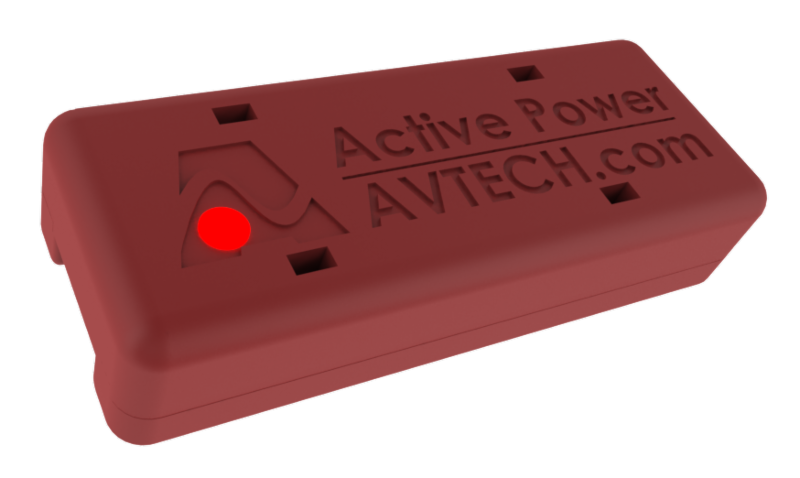 Each AVTECH Digital Active Power Sensor provides real-time power status of any AC powered electric device by simply strapping to any existing power cord. The power is considered 'active' when greater than approximately 100W. Accuracy is within + / - 2.5 watts. Additionally, this sensor provides real-time temperature values from -40° to 185° Fahrenheit and/or -40° to 85° Celsius. Accuracy is within + / - 0.5 degrees.